The critics’ verdict on the Queen’s Diamond Jubilee concert is in; and the general consensus is that the event was jolly good fun, if not exactly cutting-edge. Organised by Take That frontman and X Factor judge Gary Barlow, the concert featured established fan favourites Tom Jones, Paul McCartney, Stevie Wonder, Shirley Bassey and Elton John, as well as newer acts including JLS and Jessie J. Grace Jones garnered particular attention, partly because she twirled a hula hoop throughout her performance and partly because she shouted, “Happy birthday, Queen!” at the end, suggesting she may not have fully grasped the Diamond Jubilee concept. 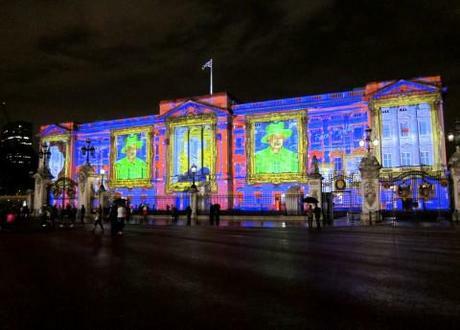 Pop/ska group Madness drew plaudits for their performance on the roof of Buckingham Palace, complete with animated light show. “You occasionally began to wonder if Gary Barlow was trying to bore the assembled members of the royal family into submission,” wrote Alexis Petridis in The Guardian. “You half-expected Take That’s frontman to run on-stage in one of those V for Vendetta masks and start addressing the royal box in a threatening fashion: ‘ABDICATE NOW, OR I’LL SING ANOTHER DUET WITH CHERYL COLE.’” But the Royal Family are past masters at sitting through dull events, and the Diamond Jubilee concert posed little challenge to their poise. “It may have felt at times like a 1980s disco in Magaluf, but the evening was thoroughly entertaining and occasionally touching,” said Tim Stanley in The Telegraph. The point of the concert was not cutting-edge music but nostalgia, reminding viewers of their own lives as well as celebrating the Queen: “This is the fundamental truth that republicans don’t get. The Jubilee isn’t just about the Queen – it’s about us, too,” Stanley wrote. “I’m not sure what the Queen made of the music, but I suspect her concern would have been whether the concert had played the monarchy’s historic role of cheering the nation up in the middle of a slump,” said Fraser Nelson in The Spectator. “This mission, I’d say, was accomplished.” The only seriously duff note, according to Nelson, was struck by Sir Cliff Richard performing Millennium Prayer: it was “enough to have his knighthood revoked, Goodwin-style”. Grace Jones performs with hula hoop. Watch the Queen’s Diamond Jubilee concert fireworks.